For the 175 Assembly seats, 2,118 candidates and for the 25 Lok Sabha seats 319 contestants are in the fray. 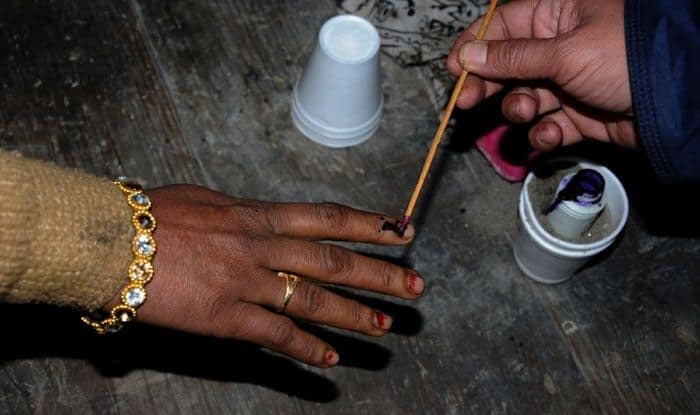 A strong anti-incumbency, caste and corruption are the major factors that could determine the outcome of the elections to Lok Sabha and the state Assembly in Andhra Pradesh as over 3.93 crore voters get to exercise their franchise on Thursday. Polling for all 25 Lok Sabha and 175 Assembly seats would be held in one go from 7 AM to 6 PM in the state. Telugu Desam Party president and AP Chief Minister N Chandrababu Naidu would be seeking election to the Assembly for the ninth time from Kuppam constituency in his native Chittoor district, while his son Nara Lokesh is making his electoral debut this time from the backward classes-dominated Mangalagiri segment in the capital region, Amaravati. Leader of Opposition and YSR Congress president Y S Jaganmohan Reddy an aspirant for the Chief Minister’s post is fighting his second Assembly election from his family’s pocket borough Pulivendula. Film star Pawan Kalyan, whose Jana Sena jumped into the electoral battlefield for the first time, is contesting from Bhimavaram and Gajuwaka Assembly segments. This is the first general election in the state after the bifurcation of Andhra Pradesh, and formation of Telangana, in June 2014. Chandrababu Naidu termed the elections a “life and death issue” for the people of the state while the principal opposition YSR Congress propogated that this would be the final electoral battle for the former, the self-styled “senior-most politician” in the country. For the first time in its 37-year-old history, the Telugu Desam Party is fighting the April 11 elections on its own, without an ally, but there were clear hints that it has a “tacit understanding” with the Jana Sena. Kalyan had openly supported the TDP-BJP combine then allies in 2014 but chose a different approach this time. Of the 175 Assembly seats, the TDP won 101, YSRC 68, BJP 4, Navodayam Party 1 and an Independent one in 2014. Of the 25 Lok Sabha seats, the TDP bagged 15, YSRC 8 and BJP 2. In the Assembly polls, the TDP polled 44.61 per cent of votes while the YSRC got 44.58 per cent. The BJP’s 2.18 per cent vote share in the Assembly election made all the difference, enabling the TDP to clinch power. Also, one caste (Kapu and its sub-sects) and two districts (East and West Godavari) tilted the scales in TDP’s favour in 2014. The TDP lost that advantage this time, with its ties with the BJP severed and the entry of Jana Sena into the battlefield. That could well be the clincher for the YSRC, which is making a desperate attempt to capture power, having missed the chance by a whisker in 2014. Of the total 34 seats in two Godavari districts, the TDP won 26, BJP two and an Independent (TDP rebel) one, taking its combined tally to 29. The YSRC did not win a single seat out of 15 in West Godavari, hurting its race to power. The trend in 2019 could, however, be reversed with the opposition party making strong inroads in these two rich districts. It’s here that the Jana Sena could play the spoiler for either of the main rivals, eating mainly into the caste votes. The Rayalaseema region with four districts remains the YSRC’s citadel though the TDP enjoys a stronghold over Anantapuramu. But the severe infighting could prove ominous for the ruling party that bagged 12 out of 14 seats in 2014. There is not much good news for the TDP from north coastal Andhra as well, as the YSRC is said to be turning the tide in Srikakulam and Vizianagaram districts. It could be a close call for either in Visakhapatnam district. TDP’s strong hopes lie in Krishna and Guntur districts that have a predominant Kamma electorate and also they being part of the state capital region Amaravati. The YSRC is seeking to continue its dominance in SPS Nellore and Prakasam districts that gave it a sizeable number of legislators last time. An exodus of important leaders from the TDP in these districts could brighten the YSRC’s fortunes. The BJP and the Congress are also contesting all the 25 Lok Sabha and 175 Assembly seats on their own but they are virtually not in contention.